Dr. Keri Do received her doctorate of dental surgery as well as undergraduate studies from the University of Southern California. She then continued her studies at Loma Linda Veteran's Hospital with a general practice residency while teaching at the University Of Southern California School Of Dentistry. Since then, she continues to expand her dental skills and knowledge through many hours of continuing education at fine institutions throughout the nation. Dr. Do is first and only woman dentist in Hawaii to be granted Accreditation status with the American Academy of Cosmetic Dentistry for her expertise and clinical skills in Cosmetic Dentistry. Her patient and her clinical skills were recently chosen to be featured on the cover of the Journal of Cosmetic Dentistry. She was recently named Best Dentist by Honolulu Magazine and one of the Top Dentists nationwide in the field of cosmetic dentistry. Dr. Do has also published articles to share her expertise and techniques in the field of direct resin veneers nationally in the Journal of Cosmetic Dentistry and internationally in the Aesthetic Dentistry Journal to teach her technique to other dentists worldwide. She has served as examiner for the Hawaii State Dental Board and past assistant clinical instructor with the University of Southern California Dental School. She is an active member of the International Association for Orthodontics, the Academy of General Dentistry, American Dental Association, Hawaii Dental Association, and the Honolulu County Dental Society. She gives back to the Hawaii community by donating her clinical skills and time and is on the committee with the "Give Back A Smile" program, a national AACD Charitable Foundation that restore smiles and provide dental care to survivors of domestic violence. Dr. Do focuses her practice on advanced restorative and cosmetic dentistry. She is committed to providing the most advanced and conservative cosmetic procedures that not only make each smile beautiful, but more importantly, functional. 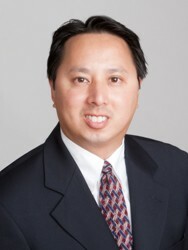 Dr. Malcolm Choy, an experienced clinician in restorative and implant dentistry, graduated from the University of Southern California with a doctorate in dental surgery. Born and raised in Hawaii, he graduated from Punahou School and did his undergraduate work at the University of Southern California. Since then, he has been committed to providing patients with the most up-to-date techniques and services by attending many hours of continuing education programs in Hawaii and across the nation. He is a Diplomate of the International Congress of Oral Implantology, a Fellow with the world renowned Misch Implant Institute, and an Associate Fellow with the American Academy of Implant Dentistry. He is also a member of the Academy of General Dentistry, American Dental Association, Hawaii Dental Association, Honolulu County Dental Society, and has served on Hawaii Dental Association's Peer Review Committee. Dr. Choy has also been a editor and contributing author for the Hawaii Dental Journal, published by the Hawaii Dental Association. 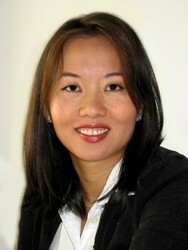 Dr. Choy believes in providing the best dental care by staying current in the latest technology and techniques. He focuses his practice on full mouth and missing teeth rehabilitation with dental implants.